Our school is in FULL Jump Rope For Heart swing with the American Heart Association. 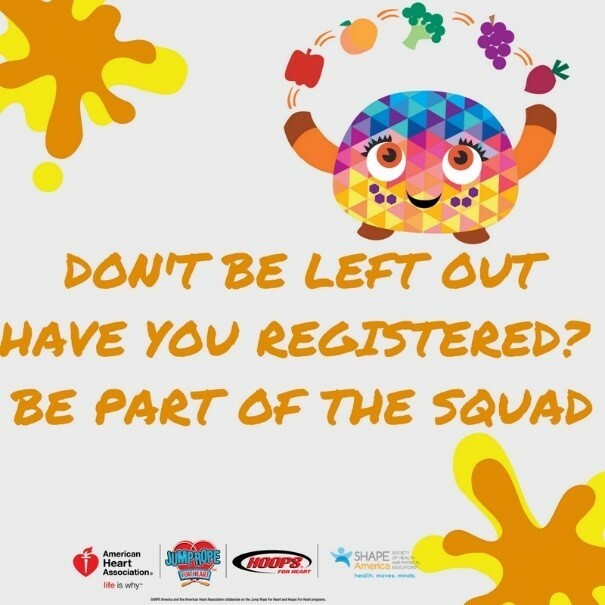 Make your child a member of the #ScareSquad & help us fight heart disease! Don't forget to register & join in on the heart healthy fun, it's easy! Go to www.heart.org/Jump or download the Jump/Hoops App (App Store for iPhone or Google Play for Android).